Many businesses in Asia were well prepared for the credit crunch, having learned some important lessons in previous regional crises. As the subprime crisis rocked the foundations of the West’s financial system, treasurers and bankers sitting in Asia sought comfort in the knowledge that they had already been through the worst. The 1997 Asian crisis is still fresh in the minds of those who survived it, and as the West embarks on a clean-up of corporate balance sheets, Asia has already done most of the hard work. From his office Furness has a bird’s eye view of Singapore’s container port and says that containers are still being loaded onto ships, which suggests that activity in the real economy, while slowing, has not ground to a complete halt. This time around, Asian companies are in much better shape to weather anything that comes their way. At least those were the sentiments of Singapore-based Damian Glendinning, vice president and treasurer of Lenovo, the Chinese PC manufacturer, who last October stated that from his perspective nothing much had changed, as none of his banking partners had indicated they would have a problem supporting Lenovo. Five months later some of that resolve may have faded as the worsening economic situation in the West spread to Asia. Leading stock market indexes in the region have taken a hit, and countries such as China, which is accustomed to double-digit rates of growth, have had to revise their GDP growth forecasts downward. India had predicted GDP growth would reach 9% this year but has revised that figure to 6.5%. Asian export-led economies are starting to feel the pinch of declining US consumer demand. In February China’s exports fell by almost 26%. Karen Fawcett, senior managing director and group head of transaction banking, Standard Chartered, says the economic outlook for Asia is fairly fluid at the moment, but while exports are suffering, domestic consumption in populous centers such as India and China remains resilient. It is not all doom and gloom in Asia, says Fawcett. However, the uncertain economic headwinds are causing corporates in the region to reassess their banking relationships. According to Standard Chartered, corporates that historically relied on large global cash management banks—mostly from the United States—are expressing concern about the support they are receiving from these banks and want to ensure there is a contingency bank in place to support their regional cash management needs. “Standard Chartered has a strong liquidity and capital position, and we are looking to take advantage of this crisis to strengthen relationships with customers,” says Furness. Other banks in the region say corporate treasurers are concerned about the long-term strategy of banks that now have the government as a major shareholder. “What does that mean for investment in transaction banking products and services, maybe not in six months, but one, two, three years down the road?” asks one banker, adding that “there has to be a degree of de-internationalization of these banks.” The general sentiment is that nationalized banks are likely to be pressured by governments to support the domestic economy rather than international business. However, Colin Talbot, international treasury manager for global logistics at supply-chain management company CEVA Logistics, says his company does not consider a contingency bank in Asia a necessity. “We see advantages to limiting the number of bank relationships in the region,” he says, adding that CEVA is able to gain greater visibility over its cash by concentrating its regional banking with one bank. “We do, however, maintain a wide range of bank relationships for FX and issuances of local bond requirements,” he notes. Talbot oversees CEVA’s regional treasury office in Singapore as part of the company’s global treasury center operations, headquartered in Europe. While some global cash management banks may be reappraising their international focus, Standard Chartered is rolling out new capabilities, including a portfolio factoring capability that will provide financing for 70% to 80% of a receivables portfolio. The latter is aimed at strengthening corporate supply chains by providing financing to suppliers. In India, where only a handful of global cash management banks are present, Vispi Marshall, head of cash management at ICICI Bank, says increasingly corporates want the option of having a local bank in their fold. With improvement in liquidity conditions over the past few months, Marshall says credit availability in India is not much of an issue, although banks are more cautious about lending. With commodity and raw materials prices collapsing, however, Marshall says a number of local corporates are facing pressure on sales and profitability and are being forced to cut costs. Yet it is difficult to achieve large-scale cost savings, as most Indian companies are already highly automated. One area, however, where companies believe they can do more is by strengthening collections. To help speed up collections, the Reserve Bank of India has taken several steps to make clearing faster, with initiatives such as speed clearing and clearing based on check truncation. “This would go a long way in improving efficiency in the system and will benefit all market participants,” says Marshall. ICICI says companies have been focusing on optimizing costs through better fund management by centralizing payables and receivables and by creating shared service centers (SSCs). As companies look to manage difficult economic conditions, there is an increased focus on working capital management and optimizing the use of internal liquidity. Integrated receivables solutions are proving popular with companies not only in terms of helping them collect monies owed more quickly but also by providing information that facilitates enhanced risk management. Banks in the region are also investing more time and money in ensuring their back-office systems are as efficient as possible so that they can provide corporates with more transaction-related information at the right time. With receivables declining and inventory building up, companies are looking to make their own balance sheets more efficient. CEVA Logistics, for example, is focused on moving surplus cash in Asia to its central cash pools in Amsterdam, where they can be deployed by other parts of the business. As Talbot explains, “The nature of CEVA’s business is such that it results in higher cash balances in the Asia-Pacific region than other parts of the world.” CEVA funds countries locally on a “just-in-time basis,” which enables it to keep the bulk of its regional cash in Singapore, which in turn is pushed up to the central cash pool in Amsterdam. In 2008 CEVA mandated HSBC to set up a regional cash pool in Singapore covering 11 entities. It is also building a cash pool in China, which it expects to complete by May. As a result of the global economic downturn, Talbot says, CEVA has become more focused on its cash management structures in Asia and is using the downturn to accelerate projects that were already under way to reduce idle cash. As part of its efforts to position itself as a global bank for liquidity management, Standard Chartered has invested in capabilities that enable it to sweep funds end of day from most Asian markets into New York or London. “If you are in Asia and have a US dollar, euro or sterling balance and you need to repatriate these monies back home and get it back when you need it, we have the infrastructure to do that automatically,” says Furness. US-headquartered multinationals operating in Asia are also likely to come under increasing pressure to operate more efficiently, particularly those export-led companies that have seen their order books decline. 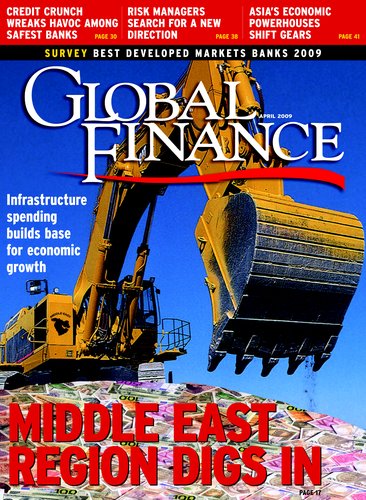 “Head offices are increasingly looking over the shoulders of their regional offices to ensure that they manage their working capital as efficiently and effectively as possible, repatriating any surplus funds to where it is needed most, as they may not be able to rely on credit from banks or head office to the same extent as the past,” says Furness. While in the past companies may have looked to banks to provide them with the capital they needed, now they are looking to source funds internally rather than incurring liabilities by borrowing. But while this recession is touted as the worst since the Great Depression, in Asia, where companies have had their fair share of economic crises, it is just another blip. 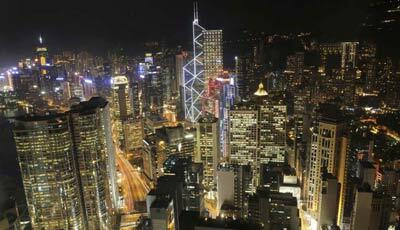 After all, most Hong-Kong-based companies are considered to be fairly well run and not highly leveraged. And there have been a lot more shocks in the region that corporates have had to work through, such as SARs and the 1997 Asian crisis. All in all it makes for a more resilient corporate sector.